Swayambhunath and Bouddhanath are two large Buddhist stupas outside Kathmandu, known for their "eyes". Both have a profusion of temples, religious statuary and souvenir stands in the vicinity. 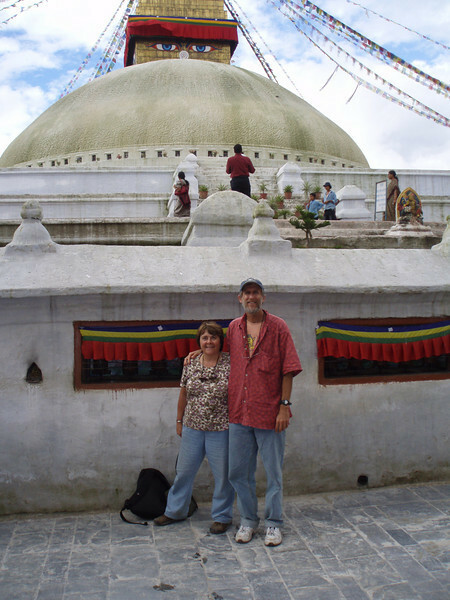 Swayambhunath is atop a hill, with several hundred step leading to the stupa.